“This camp is great because it is the only camp on this side of the river. The area is not too populated, so game drives are better and there are not too many vehicles. This area has big herds of topis, lots of lion and lots of hyena. Also being close to the river there are lots of crocs, huge rafts of hippo and also a very unique type of primate – the black and white colubus monkey. There is never a dull moment here.” Mussa, Camp Manager. Game drives are always action packed and entertaining. You can expect to encounter large lion prides and clans of hyena up to as well as the great herds of Tanzania’s annual Great Migration. If you are lucky you may even see a leopard hoisting its prey up a tree, lion stalking zebra or vultures squabbling over a kill, but the best thing about this is that it’s very likely that you could just be the only vehicle at the sighting. The ten ensuite tents are tucked into the shade of an evergreen forest on the banks of a tributary of the famous Grumeti River. As the sun rises, the bush comes to life and wakes up all around you. From buffalos, to lions, to hyenas, to baboons you are fully immersed in the sounds and goings on of the animals surrounding you. Sit in the coolness of your densely thatched shady suite, a much welcome retreat from the heat of the sun. From your own private patio watch the game drinking, the colubus monkeys playing or the sunbirds, kingfishers and starlings darting around in their daily routines. The natural hues of the suites will welcome you with open arms. Complete with spacious writing desk, oversized beds, delicious snacks, the open-air stone tower outside shower and even gym in a bag there is nothing that you will want for. 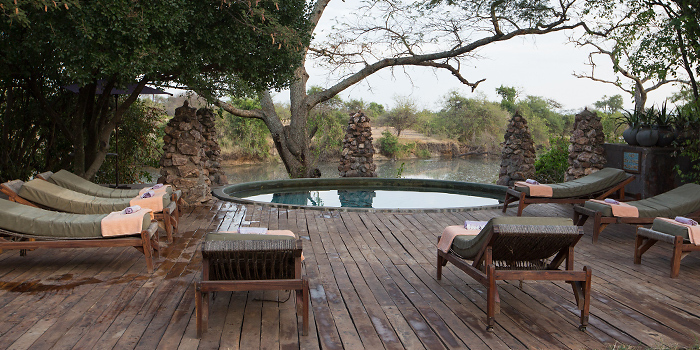 Take a cool dip in the plunge pool on the edge of the river while you watch hippos having one too. Then relax on the decadent sun loungers as your personal butler brings you and iced cold Pimms and Lemonade. In true andBeyond style the hospitality and service simply cannot be faulted. From the minute you arrive to a smiling welcome committee you feel completely at home and looked after. From your personal butler, to the camp manager, to the waiters, guides and askaris all have a delightful way about them that warms your heart from the inside out. From a surprise sunset drink table set up in the middle of the savannah, to a boma dinner laid out beautifully under a thousand twinkling lanterns, they will go to the ends of the earth to ensure you have the most memorabl stay possible. The food is mouth-watering and whether you go for the penne pomodoro, the roast lamb or the strawberry sorbet you won’t be disappointed. Sip on a glass of full-bodied Shiraz, gaze up at the stars and watch the moon rising over the horizon as another great day in Africa comes to an end. There are regular international to Kilimanjaro and Dar es Salaam. From either airport you can catch a daily scheduled domestic flight link to any of Tanzania’s wildlife areas. 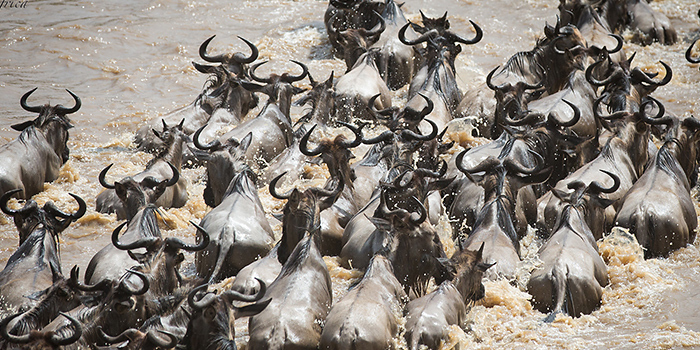 Why Grumeti Serengeti Tented Camp? Exceptional, exclusive game viewing in the Serengeti’s remote Western Corridor. 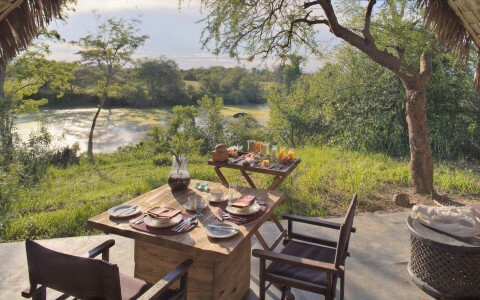 A lush riverside escape at one with the African bush. andBeyond hospitality at its best, full of delights and surprises. Set in a wild and remote section of the Serengeti’s Western Corridor is a riverside paradise like no other. Grumeti Serengeti Tented Camp was built for and inspired by the Great Migration as it sits minutes away from one of the key crossing points on the Grumeti River. Contact Iconic Africa now and let us plan the African adventure of a lifetime for you.